Even Sleeker. Even More Elegant. 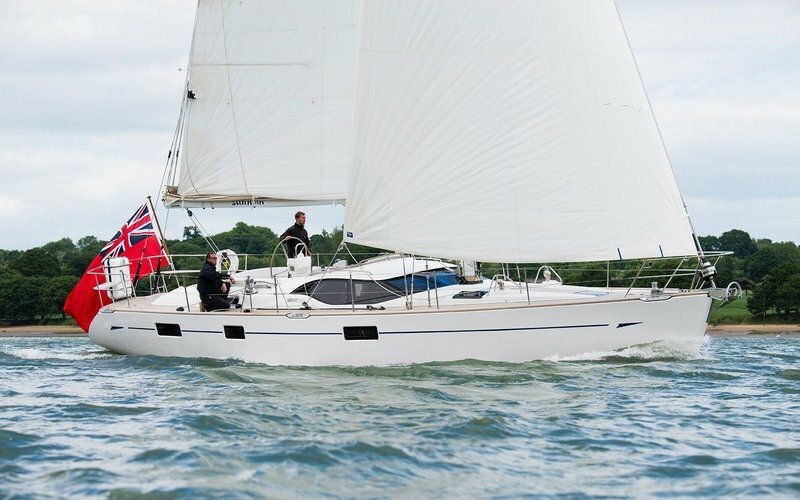 The Oyster 475 is in truth more evolution than revolution. Afer all, why completely change something which is already so successful? 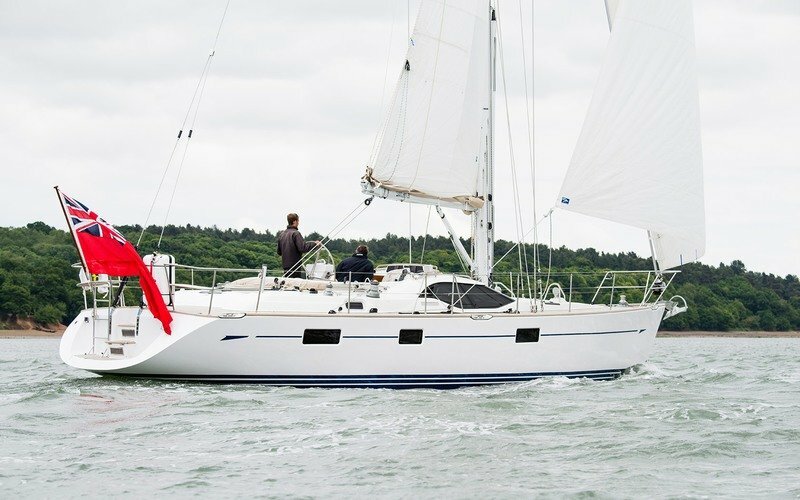 With a lengthened hull giving a larger aft deck, plus a host of other subtle enhancements both in styling and fit-out, the 475 has evolved from the well-proven Oyster 46. And she carried the DNA of her illustrious predecessors, the Holman & Pye designed Oysters 46, 435, 45/47 and 485 – of which around 200 were built. A worthy successor indeed – another benchmark in fact. The use of the latest and most advanced design engineering techniques has allowed Oyster to make the hull and deck light, strong and stiﬀ. The Oyster 475 is the ideal family boat, oﬀering unusually spacious, luxurious accommodation for her compact size and here’s a small but worthwhile point – her length of less than 15m overall usually makes it easy to find a berth for the night. Out on the water the 475 is a very powerful yacht and almost certainly ‘best-in-class’ for righting movement and form stability. Te use of the latest and most advanced design engineering techniques has allowed Oyster to make the hull and deck light, strong and stiﬀ. Her cockpit design calls on lessons learned from professional ergonomic studies, and her generous deck space includes a large aft area with easy access down to the bathing platform. 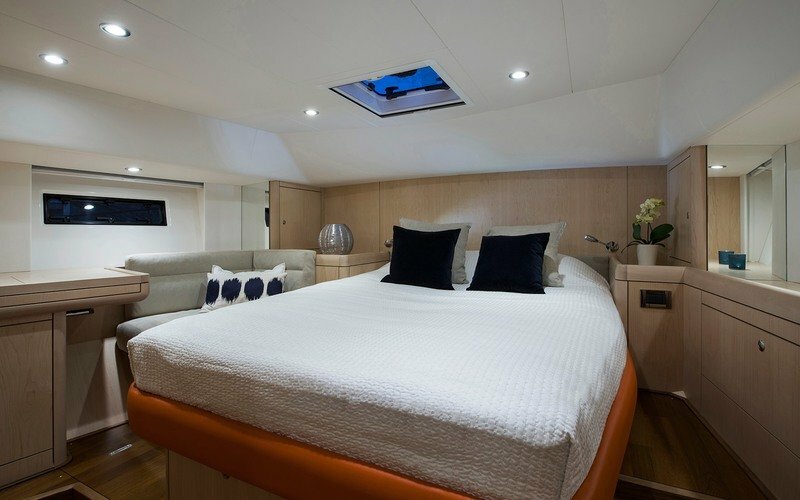 For the world cruiser stowage, space is a major consideration – the 475 has an outstanding lazarette, swallowing all that cruising kit. Generous headroom is in evidence throughout and her owners will enjoy an exceptionally large stateroom plus the comfort of a spacious ensuite heads and shower. Did Oyster mention that she’s the ideal family boat? Well, perhaps it’s worth doing so once more because she’s certainly that, just one reason being her exceptionally luxurious three-cabin accommodation, which allows six to sleep in comfort – without using the saloon. Generous headroom is in evidence throughout and her owners will enjoy an exceptionally large stateroom plus the comfort of a spacious ensuite heads and shower. 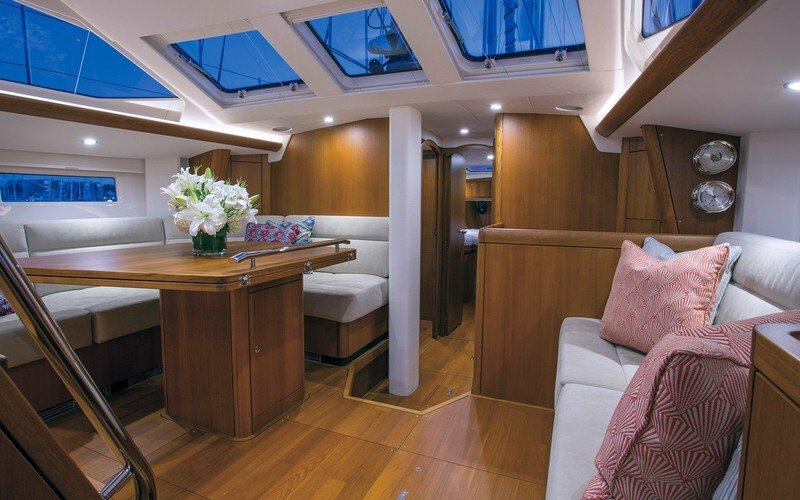 With large bonded hull ports and opening front Deck Saloon windows, she’s also exceptionally light, bright and airy. 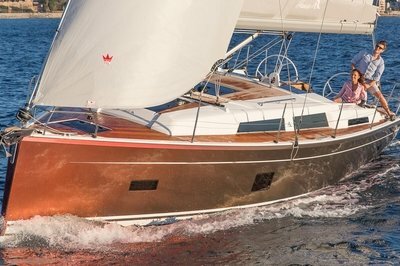 The Oyster 475. Oyster may describe her as an evolution but in many ways she’s something of a revolution too.